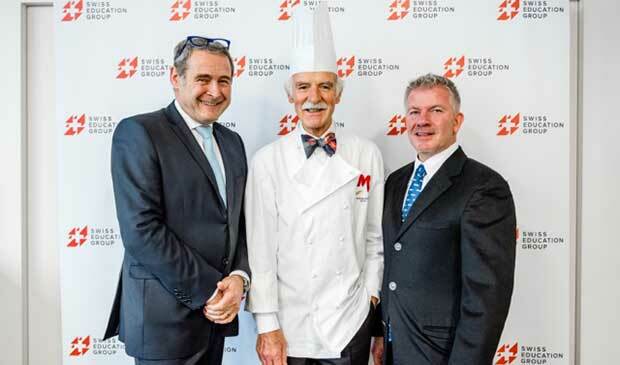 Swiss Education Group is honored to announce a unique partnership with Anton Mosimann OBE (Officer of the Order of the British Empire). Anton Mosimann is famous around the world for his culinary expertise, his passion for perfection and his signature style of cuisine naturelle. His guests have included members of royal families, politicians, heads of state and numerous personalities from the world of show business, hailing from all four corners of the globe. 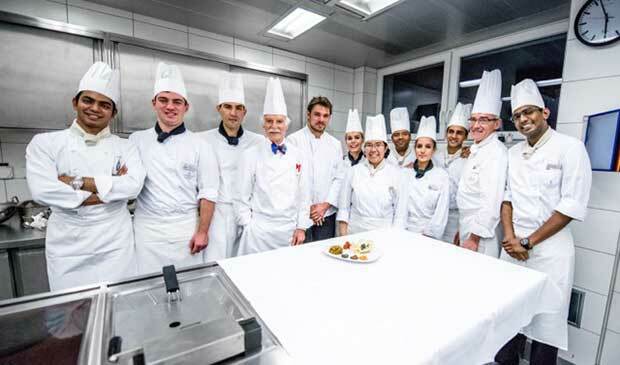 Anton Mosimann selects Swiss Education Group to host his culinary collection. A taste of this extensive personal collection includes historical culinary books, pictures, medals, original recipes and an elaborate menu collection from around the world. Hosted at César Ritz Colleges Switzerland in Le Bouveret, the collection will be open in June 2016 for Swiss Education Group students and the public to see, touch and experience the past through these timeless treasures on a permanent basis. “I feel deeply connected to this region, so I am particularly pleased to be able to place this important piece of Swiss heritage in a dedicated area belonging to one of the most prestigious culinary schools in the world. 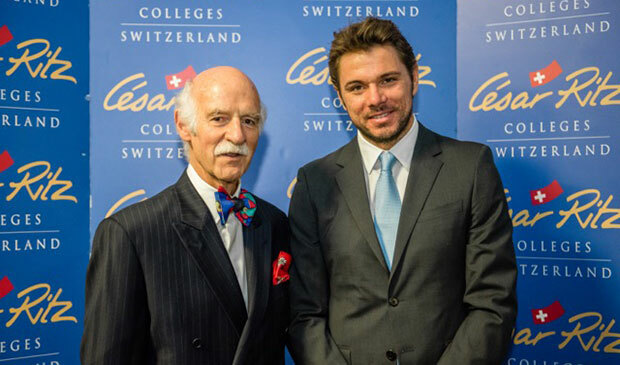 Swiss Education Group and I share the same values and requirements for excellence, so it is to my partner of choice that I am entrusting a large part of my collection, which I have built up over the course of my career,” explained Anton Mosimann. 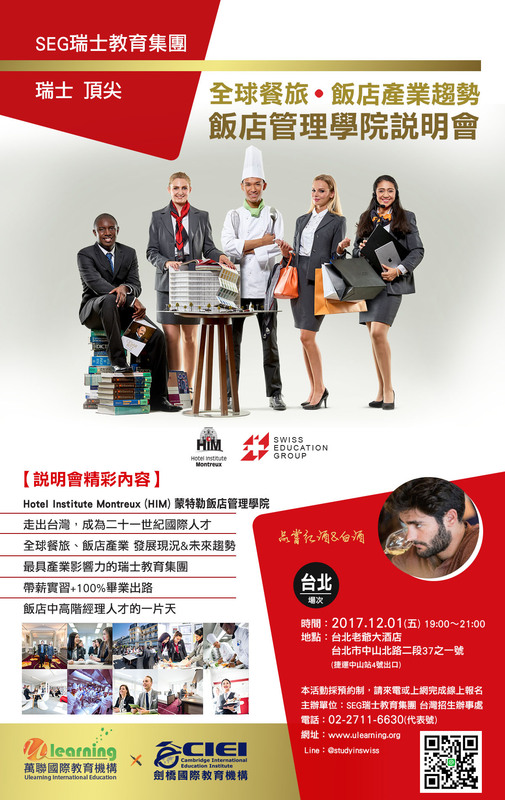 This exclusive partnership was officially unveiled during a daylong event at César Ritz Colleges Switzerland. Stanislas Wawrinka, world number four tennis player and ambassador for Swiss Education Group, chose this occasion to reveal his favourite dish: “Rösti à la Stan”, an alternative healthy version of the famous Swiss dish. The Culinary Arts Academy Switzerland students reproduced the dish as part of a workshop-competition led by Anton Mosimann. Born in Solothurn, Switzerland, Anton Mosimann, who often sports a bow tie, is able to look back on a brilliant career. At the age of 25, Swiss Chef Anton Mosimann was one of the youngest Chefs to receive the coveted Chef de Cuisine Diploma. At 28, he was appointed Maitre Chef des Cuisine at the Dorchester Hotel in London. During his thirteen-year tenure he was awarded two Michelin stars. He has led the culinary teams serving five British Prime Ministers, from Margaret Thatcher to David Cameron, as well as four generations of the British Royal Family. Since October 1989, Anton has run Mosimann’s, an exclusive dining club in London, which successfully unites passion for good food and fine wine. In 2011, Mosimann’s was entrusted with providing the food for the evening reception following the wedding of Prince William, Duke of Cambridge, and Catherine Middleton. In addition he was the catering partner for the three latest Olympic games.